and with David Cerone and Aaron Rosandat the Curtis Institute of Music, where she received her bachelor's degree in music in 1986. Prior to joining the Boston Symphony Orchestra, Ms. Bewick won a position with the Columbus Symphony and participated in summer music festivals at Interlochen, Spoleto, the Colorado Philharmonic, and the Grand Tetons. Ms. Bewick has made solo appearances with the Boston Pops under John Williams and Keith Lockhart, the New England Philharmonic, and the Cape Ann Symphony, as well as with a number of West Coast orchestras. She performs frequently in the Boston area in recitals and with the Renard Quartet and also plays Irish and folk music with Childsplay and with other traditional artists. Ms Bewick conducts Orchestra Audition seminars all over the country, coaches privately, and is currently on the faculty of The Boston Conservatory. "Exuberant and rhythmic, somehow both wild and innocent, delivered with captivating melodic clarity and an irresistible playfulness," says the Boston Globe about Hanneke Cassel's playing. 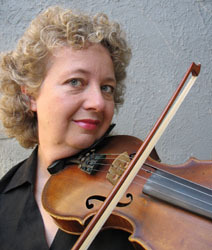 Such charismatic fiddling has brought native Oregonian Hanneke Cassel many honors and awards. 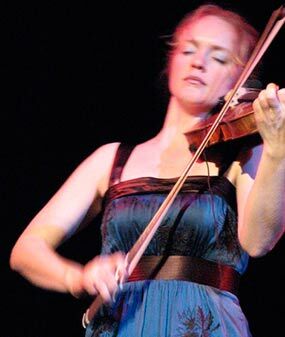 She is the 1997 U.S. National Scottish Fiddle Champion, she holds a Bachelors of Music in Violin Performance from Berklee College of Music, and she has performed and taught across the U.S., Scotland, Sweden, Austria, China, Italy, Hungary, New Zealand, France, and Canada. Fraser's Valley of the Moon Scottish Fiddle School, Mark O'Connor's Fiddle Camp, Boston Harbor Fiddle Camp, and the Club Passim School of Music. Hanneke has performed with Joey McIntyre, former member of New Kids on the Block, at Boston's Hatch Shell on the Charles River. Her fiddling has graced the stages of Boston's Symphony Hall (opening for Judy Collins) and Mountain Stage, The Plaza Hotel, and the Lincoln Center in NYC (with Cathie Ryan.) 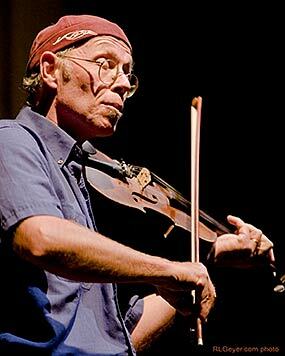 Hanneke and Casey Driessen appear on Darol Anger's "Diary of a Fiddler" as "two up-and-coming fiddlers. Amanda began playing at age 8 and became immersed in the vibrant Irish and Scottish traditional music communities in the Boston area. She began playing sessions, concerts, and dances from a young age at venues such as Club Passim, Boston College, and WGBH’s A Christmas Celtic Sojourn. She studied with Hanneke Cassel, Tommy Peoples, and George Keith, and also considers Boston musicians Larry Reynolds and the Gannon family to be important musical influences. She earned her Bachelor of Arts from Tufts University in 2012, majoring in music with a focus in music performance and ethnomusicology. After spending many years performing and teaching in the Boston area, Amanda now makes her home in Dublin, Ireland. In Dublin she has completed a Master of Science degree in Creative Digital Media at the Dublin Institute of Technology where she has collaborated on Irish cultural and Traditional Music projects such as Fáinne, a mobile app featuring Irish language, music, and cultural activities from the Corca Dhuibhne Gaeltacht, She continues to perform regularly in the Dublin area. Bob Childs has been making violins for over 30 years. 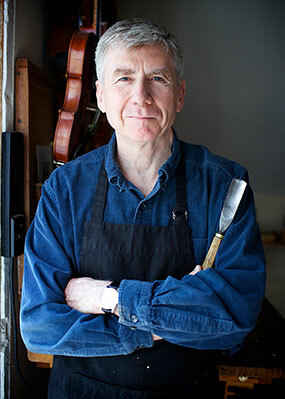 After being introduced to violinmaking by Ivie Mann in Maine, Bob did six years of apprenticeships with Mittenwald-trained violinmakers Anton Smith and Michael Weller before setting up his shop in Cambridge, Massachusetts. 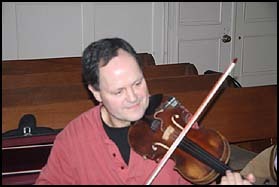 As a fiddler, Bob was immersed for many years in the Maine fiddle tradition before becoming heavily influenced by Irish music. In addition to twenty years of performing with Childsplay, Bob was part of the Old Gray Goose and the Moosetones, two seminal bands in Maine (part of the great genre of animal-related traditional music bands that populate the United States). Years ago in Ivie's shop, whenever they would finish a violin, they would take the instrument down to Otto Soper's house in Orland, Maine. Otto loved to talk, and two of the wisest things he told them were that music will take you places that money won't and that you will make all your great friends through music. "In that spirit let me say that no greater friendships could exist than those I have made with the members of Childsplay." 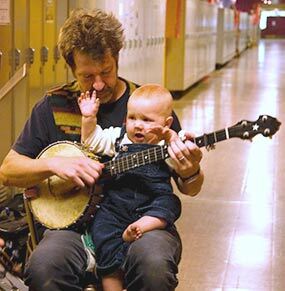 The son of Childsplay member Joe DeZarn, Graham grew up in Virginia's Shenandoah Valley, where he received a steady infusion of traditional music at home and at contra dances. At age 11, he took his first fiddle lessons from Andrea Hoag and continued to learn tunes from his dad. Soon afterward, he began learning bodhran and percussion from Bhagwan Jesse Winch. As a youth, he was a regular at D.C.-area contra dances, ceilis and festivals, and spent several revelatory summers at the Augusta Heritage Festival's "Irish Week", under the influence of such fiddlers as Willy Kelly, Liz Carroll, James Kelly and Antoin Mac Gabhann. and banjo on stages and porches, at dances and in living rooms and kitchens. Graham is a devotee of the music of John Hartford, and also loves improvised music, independent radio and old motorcycles. 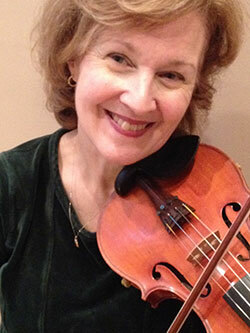 Sheila Falls earned her Bachelor of Music degree in violin performance from New England Conservatory. 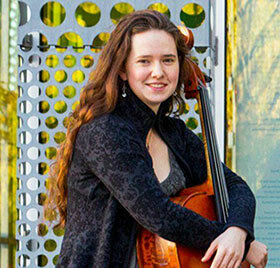 While attending N.E.C., she was awarded a Tanglewood fellowship. Upon graduation, she joined The New World Symphony and served as a rotating concertmaster for three years. 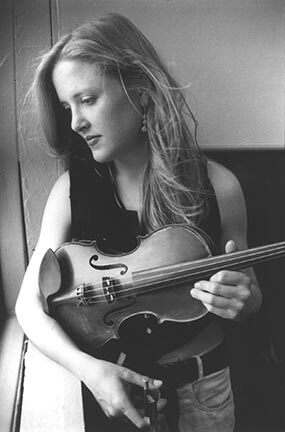 In addition to her accomplishments in classical music, Sheila is a three-time North American Champion in Irish fiddling. At age fifteen she won the All Ireland Championship in Kilkenny, Ireland. Presently, Sheila is a member of The National Lyric Opera Orchestra. She also freelances throughout New England. Sheila has been a member of the music faculty at Wheaton College for the past ten years and is the director of Wheaton’s World Music Ensemble. 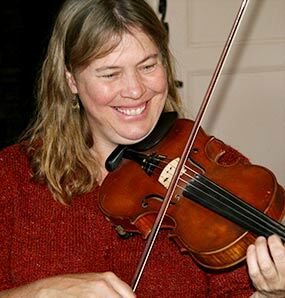 Ellen Gawler is a celebrated fiddler from Maine conversant in many diverse styles, including Irish, Maritime, Québecois, Shetland, and New England. While a teenager, she traveled to Scotland, Ireland, and the Shetland Islands to study and collect tunes. In 1977 she apprenticed for three months with master fiddler Tom Anderson of Shetland, while helping him teach children in the upper Islands. She was a member of the spirited Maine Country Dance Orchestra, who rocked the Bowdoinham Town Hall for 25 years. In 1978 as an original member of The Old Grey Goose, she toured the Northeast, Mid Atlantic, and Appalachian states. Ellen, Megan MacArthur, and Elisabeth Wolfe, comprise the highly acclaimed folk trio Trillium, who are known for their intricate, interweaving harmonies and have recorded two albums. Currently, she is joined by Maine's leading Celtic artists to form the group Ladies of the Lake with one CD to their credit. Also with one recording, Ellen, husband John Gawler, and daughters Molly, Edith, and Elsie, have warmed the hearts of audiences in their performances as the beloved Gawler Family. in Belgrade. 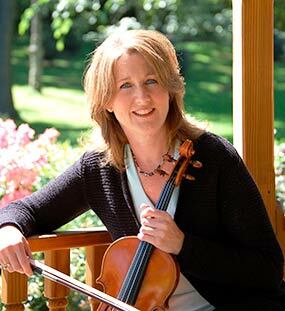 She is founder and musical director of The Pineland Fiddlers, anaspiring group of 30 youngsters, ages 8-18. These young artists, who are dedicated to the continuation of Maine, Maritime, and French Canadian fiddling, have recorded twice and toured to Cape Breton and Québec. Throughout the year, accompanied by guitarist Maggie Ericson, Ellen frequents the stages of grange hall dance venues delighting dancers with her vivacious, driving sound. Molly Gawler grew up on Buttermilk Hill on a small farm in Maine. She danced from a young age and studied Vaganova ballet with Russian teacher and choreographer Andrei Bossov. Following that, she broadened her horizons with ballet, modern and improvisational studies at SUNY Purchase Conservatory of Dance earning her BFA in Dance Performance. While in New York City she danced with contemporary/modern companies “CorbinDances” with choreography by Patrick Corbin and “Noa Dance” with choreography by Nelly VanBommell. She began working with Pilobolus Dance Theater in 2006, and soon thereafter, she was a part of the “Oscars,” Academy Awards of 2007 and collaboratively created many theatrical shadow projects that arose from that point forward. The culmination of that work is her lead role as “the dog girl” in Pilobolus’s Shadowland a full length show that toured the world. She plays fiddle, banjo and sings in the “Gawler Family Band” as well as her trio of sisters, “The Gawler Sisters.” She continued her movement/performance studies with the Cyr Wheel and Rope at the New England Center for Circus Arts. Currently she resides in Monroe, and tends to a small vegetable garden. 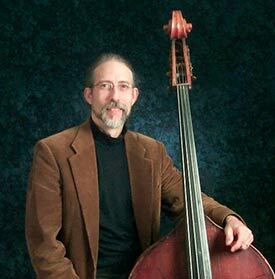 Ralph Gordon is a uniquely versatile musician, who brings more than 35 years of musical experience to the bass and cello. He is equally at home in folk, old time, swing, jazz, blues, bluegrass, klezmer, and chamber group settings and plays all styles of music for dancers. Symphony, then toured with Fred Waring and the Pennsylvanians. He eventually returned to West Virginia, where he joined the ground breaking folk ensemble Trapezoid. In 1986--nine years and four recordings later--he left the group to become a freelance musician. Since then he has performed with many individuals and groups in a multitude of musical styles and settings and is a sought after freelance artist and session musician in the Washington/Baltimore metropolitan area. Ralph can be heard on more than 100 recordings and has contributed to arranging and producing many of these. He teaches bass and performance classes at summer camps across the country. Kathleen Guilday performs traditional Irish music on the harp, both as a soloist and as a member of various New England area groups. An All-Ireland harp champion, Kathleen studied traditional style in Ireland with Noreen O'Donoghue and Máire Ní Chathasaigh. 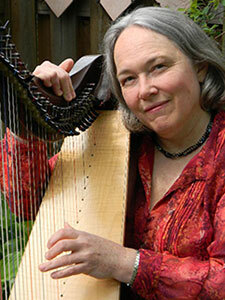 Her repertoire includes dance tunes, slow airs, and compositions of the 18th-century Irish harper Turlough O'Carolan. Kathleen has appeared at Boston's Symphony Hall with the popular Irish band The Chieftains and entertained President and Mrs. Clinton and Prime Minister of Ireland Bertie Ahern at the White House on St. Patrick's Day 2000.
musicians and folklorists who would stay with her family while passing through town. While obtaining a degree in ethnomusicology from Northwestern University, she became involved in the Irish music scene on the north side of Chicago. She spent nights at sessions in the city and summers in Ireland and has been playing tunes ever since. She is keenly active as a composer and arranger of traditional music and has performed with numerous ensembles throughout New England, including the Robbie O'Connell Band, Keith Murphy & Fair Play, Laura Cortese, and A Celtic Christmas Sojourn, in addition to Childsplay. Her tunes have been recorded by Siucra and The Battlefield Band among others. Shannon tours extensively with her husband, Matt Heaton. For the duo, she crafts parts that move effortlessly between vocals and flute, one line spilling into the next. Sing Out Magazine called her work "richly orchestrated . . . an almost fugal multiplicity of voices." 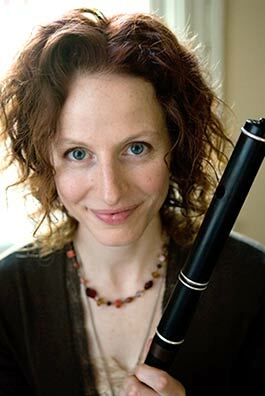 In Boston, where she has lived since 2001, Shannon is active as a session player, teaches for the Hanafin-Cooley Comhaltas branch at Boston College and Harvard, and helped to found the Boston Celtic Music Festival. With his fine fiddling and stage presence, Steve Hickman has electrified audiences for close to 30 years. Besides playing for Childsplay and for numerous bands in the Washington, D.C. area, Steve has toured the world as a featured fiddler for the Fiddle Puppets and Evening Star. One of the world's leading authorities on the arcane art of hambone, Steve is renowned for his hambone antics (not to mention his handlebar mustache). 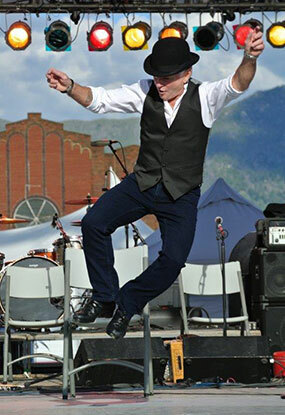 Steve occasionally lives in King George, Virginia, but spends much of his time traveling to play at dance workshops, festivals, and camps throughout the United States and the world. McKinley James is a cellist in the Boston area. Growing up in Vermont, she learned to play both traditional and classical music from young age. Her first band, the Irregulars, was formed when she was 12, and played through the Northeast for many years. In 2011, the Irregulars won First Place in the Young Traditions Vermont competition. Performance highlights include playing Main Stage at the Dance Flurry weekend and at the New World Festival. She has also performed with Isabel Oliart on the national radio show Says You. In 2016, she formed a band, Night Tree, that won the New England Conservatory’s Honors Ensemble. Together they have toured throughout the US, opened for Solas in Portsmouth Music Hall, and played in Jordan Hall and Rockwood Music Hall. They released their debut album in 2017. 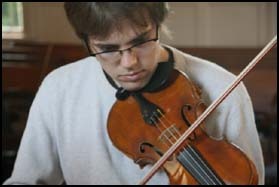 McKinley has played with the Portsmouth Symphony Orchestra, Middlebury College Orchestra, and the New England Conservatory Symphony, and soloed with the Champlain Philharmonic Orchestra. She now studies with Yeesun Kim at the New England Conservatory. 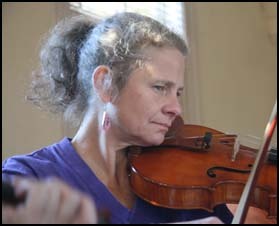 Laurel began playing the fiddle in 1980. Enchanted by the rhythmic lilt and soulful depth of the old regional fiddle styles of Ireland, she became a student of Irish fiddle master Seamus Connolly of County Clare. The music of Clare and East Galway has always been her greatest source of inspiration, and over the years she has woven together the influences of many wonderful musicians she has been fortunate to meet, and has developed a nuanced style of her own. A native New Englander and resident of the Boston area, Laurel has performed and taught at festivals and venues around the country and close to home. 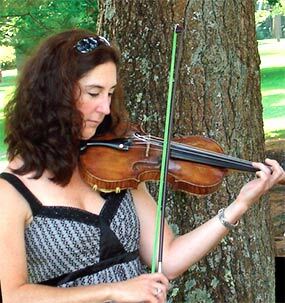 She has taught Irish fiddle at Boston College, Wellesley College, Phillips Academy Andover, and currently at the Indian Hill School of Music in Littleton MA. 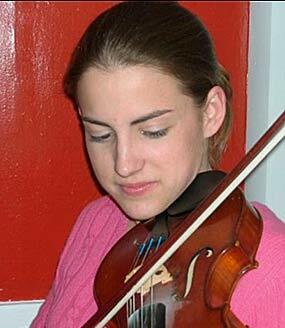 In 2002 and again in 2010 she was awarded Traditional Arts Master Apprentice grants from the Massachusetts Cultural Council to work as a master teacher with talented young fiddlers. She has performed, toured and recorded with Childsplay since 1999. In collaboration with Seamus Connolly she published a book of traditional Irish tunes with accompanying CD, “Forget Me Not,” in 2002 with Mel Bay. Her first solo CD, “The Groves,” was released in 2006. Recently Laurel's favorite musical projects have included her trio collaboration with flute and banjo player Mark Roberts and Irish dancer Kieran Jordan, her duet performances with harpist Kathleen Guilday, and singing with her daughter Sarah. She loves playing in small, intimate performance spaces and sessions. A recently trained Suzuki teacher, she is passionate about teaching traditional Irish fiddle music and encouraging young musicians to listen for the secrets that the old musicians wove into their recorded music. 19-year-old Katie McNally, 2009 New England Scottish Fiddle Champion and two-time runner-up Junior National Scottish Fiddle Champion, has performed with and opened for such notable musicians as Hanneke Cassel, Brittany Haas, and Laura Risk. She has played at such venues as the Cantab Lounge; the Boston Celtic Music Festival; the New Hampshire Highland Games; the ICONS Festival; and Club Passim. 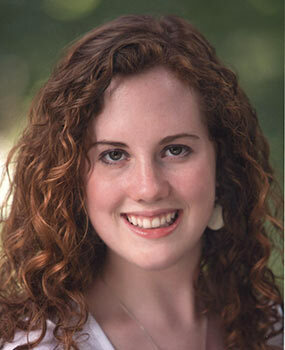 An active member of the Boston Celtic music scene, Katie is currently a sophomore at Tufts University where she is working toward degrees in music and English. 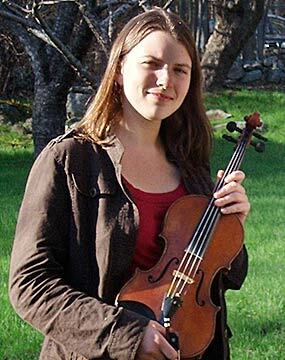 Within the past few years, Katie has begun teaching her own students, passing on the Scottish and Cape Breton music traditions through private lessons, workshops, and, for the first time in the summer of 2009, at fiddle camp. Katie is also very involved in the Scottish Country Dance community and often plays for dances and events in the Boston area. Country dancing for over 10 years and is known for her energetic and driving fiddle playing in many bands, including Night Watch and Housetop in addition to Childsplay. Naomi has been on staff at CDSS music and dance weeks at Pinewoods, Ogontz, Buffalo Gap, and Christmas Country Dance School in Berea, Kentucky, as well as numerous dance weekends around the country. Naomi lived in York, England, for over a year, where she studied and explored the traditional music of the British Isles and Sweden and became one of the most sought after fiddlers in Yorkshire. While living in England, she was a member of the Irish folk band The Kimberlite Pipes. Naomi has toured extensively throughout the United States and Europe with the world-music ensemble Northern Harmony, both singing and playing music from world harmony traditions. She currently lives in Brooklyn, New York, where she sings professionally. Newfoundland-born Keith Murphy began absorbing his native musical languages--folk songs, ballads and dance music--from an early age. Now residing in southern Vermont, Keith has variously called Ottawa and Toronto home. A proficient multi-instrumentalist, he has long applied much of his considerable energy to the rhythmic side, becoming a valued band member (Nightingale, Assembly) and sought-after sideman on guitar, mandolin, and foot percussion. At the same time, Murphy's natural and lyrical singing and piano playing add a complementary dimension to his music, a thoughtful, well-crafted, and ever-respectful take on tradition. Whether it be for Irish ceilidhs, Scottish balls, Quebecois sets, or American contras, dance accompaniment was and continues to be a focus of Keith's career. Through many musical encounters with top players, he has developed both a harmonic sensitivity and the propulsive right hand that has become his signature sound. He is known for distinctive guitar playing in the popular DADGAD tuning, alternating with a driving chordal mandolin style and often underscored by his unerring French-Canadian style footwork. 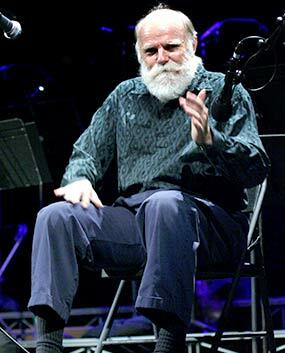 Keith has accompanied such noted players as Liz Carroll, Martin O'Connor, Winifred Horan, Oliver Schroer, both in the studio and on stages throughout North America and Europe. Keith is also a noted composer of instrumental music based on traditional styles and has published a collection of his work as the book Black Isle Music. 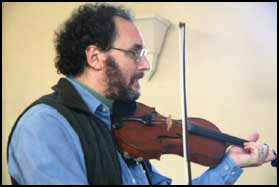 His music has been used widely by New England contra dance groups, and his tunes appear on many recordings, including Childsplay's Heaven and Earth. Most recently, Keith has been composing music for a theater piece with the internationally renowned Sandglass Theater, based in Putney, Vermont. For years Keith has taught at music workshops and summer music programs around the country and abroad. He currently leads a Celtic music class for the Brattleboro Music Center and with them has founded the Northern Roots Festival in Brattleboro, Vermont, an event featuring local and regional talent. He appears on dozens of recordings, playing guitar, mandolin, piano, and foot percussion. His singing and arrangements are featured on his solo recording, Bound For Canaan, comprising songs of Eastern Canada and New England. Mark Roberts has been playing traditional music for almost 30 years. He has recorded and toured extensively, playing 5 string banjo, flute, and bouzouki amongst other instruments. Some of the bands he has been associated with; Touchstone, The Red Clay Ramblers, The Sevens, The Clay Foot Strutters and Childsplay. His flute and whistle playing are on the soundtrack of the Jon Sayles film The Secret of Roan Inish. Mark got to realise his dream of playing the pennywhistle in large stadiums when he toured with Don Henley. The Gloup, his flute and whistle CD with Dan Compton was released last year. The traditional music of New England can be as warm and comforting as a winter fire or as potent and exhilarating as a summer thunderstorm. Fiddler and singer Lissa Schneckenburger is a master of both moods, a winsome, sweet-voiced singer who brings new life to old ballads and a skillful, dynamic fiddler who captures the driving rhythm and carefree joy of dance tunes old and new. Another of her major influences was the diverse musical community that she found at fiddle camps, where she had a chance to play with and learn from a wide variety of musicians including noted Scottish fiddler Alasdair Fraser. In 2001 she graduated from the New England Conservatory of Music with a degree in contemporary improvisation, and since then has been performing around the US and internationally for a growing audience of enthusiastic listeners. She has recorded eight CDs, (five solo and three with various groups). Lissa's fiddling is uplifting and lively, and her singing is gentle and evocative. Both in concert and in the studio she is regularly accompanied by some of New England's best musicians, including guitarist Bethany Waickman and piano accordion player Jeremiah McLane. Recently she has turned over a new leaf with "Covers", a recording released in June 2013, which as the name suggests, is a mix of reinterpreted pop songs from the 1950s to today. Co produced with Aoife O'Donovan (of Crooked Still and The Goat Rodeo Sessions), Lissa's sixth solo album reinterprets beloved classics by artists like Bob Dylan, Joni Mitchell, Paul Simon, Nelly, Weezer, The Magnetic Fields, Dire Straits, and many more. Lissa explained, "To me, folk music is anything that creates a feeling of community. Music that people want to sing along to, dance to, fall in love to…. music that brings people together. These songs are part of all of us, and it's an honor to have had the chance to record them". Whether playing interpretations of music old or new, Lissa brings to the stage enthusiasm, energy, and the bright future of New England's musical traditions. 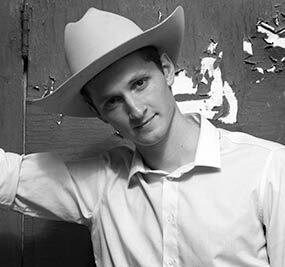 Sam Amidon started performing folksongs at the age of eight with his parents, Vermont singing leaders Peter and Mary Alice Amidon. At 13, on fiddle, he started the New England cult contradance/ avant-folk ensemble Popcorn Behavior, later called Assembly, with Thomas Bartlett, brother Stefan Amidon, and Keith Murphy. Assembly performed at folk festivals across the country and was featured in The Boston Globe and on NPR's All Things Considered before the boys were out of high school. In 2004, Sam starred in an independent film called American Wake. Featuring music by Assembly and Seamus Egan, it premiered at the 2004 Democratic National Convention in Boston. Since arriving in New York City a few years ago, Sam has played in a variety of musical contexts, including experimental rock bands Doveman and Stars Like Fleas. released two albums of songs, But This Chicken Proved Falsehearted and All Is Well, about which Rolling Stone said "In an era of overheated Nick Drake comparisons, Amidon is eerily close to the real thing," and CMJ New Music Monthly said "[All Is Well is] nothing less than a goose-bump-manufacturing sonic piéce de résistance." Respectful of tradition but throwing genre to the wind, Joyce glides effortlessly between traditional & contemporary songs and fiddle tunes, from foot stompers to sultry torch songs. Her seven critically acclaimed CDs (Four with folk luminary Harvey Reid) and her live performance reveal her depth as a American roots musician and highlight her versatility as a singer, songwriter, interpreter and powerful instrumentalist. After a decade as a "side-gal" fiddler playing in country bands (out of Nashville) as well as swing, bluegrass and celtic groups and playing a dizzying number of studio sessions, Joyce Andersen moved swiftly to center stage as a solo artist. Her recordings shine the spotlight on her guitar, her sophisticated songwriting, her haunting and unique voice, and her powerful fiddling. Her clear and powerful vocal/fiddle duets are a sound that is all her own. Her peace song "Filled with Love" on her most recent solo CD "Love & Thirst" is being learned around the world. You can dowload a free non-album version of the song at joyscream.com/peace.html. She has toured with John Lincoln Wright, Marshall Crenshaw, the New England Bluegrass Band,The McKrells the Childsplay Fiddle Orchestra, Eric Andersen and John Herald, among others. Her music has brought her from the coffeehouses and taverns of her native New England, national & international touring with folk virtuoso (and husband) Harvey Reid, the stage of Carnegie Hall, the Conan O'Brien show and country music in Japan. Her recorded work has won her critical acclaim and radio play in the folk world. Sing Out! magazine says her CDs "...places her right up there with any of the songwriters out there performing their songs today." 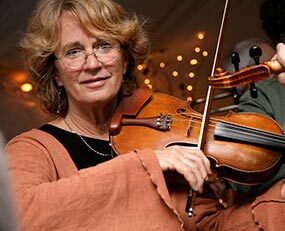 The Boston Globe says "That neo-traditional current is starting to be felt among the ranks of New England songwriters...among the hottest...New Hampshire fiddler-singer Joyce Andersen." 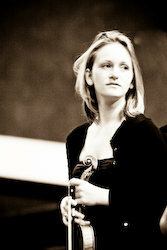 Pamela Blau plays primarily classical violin and viola. She was a violinist for 17 years with the Netherlands Ballet Orchestra and has played violin and viola in various orchestral and chamber music ensembles in the Netherlands, Switzerland, and the United States. Her beautiful viola, called "Esme" was made by Bob Childs in 1999. She has played with Childsplay since December, 1999 and is honored to be playing with the many creative musicians that make up this wondrous ensemble. Julia Borland has been playing her Childs violin since 1985, after many years of trying different instruments. She has lived in Sweden for 19 years, playing with 3 different fiddler's clubs and traveling to different parts of Sweden to learn the music. Two years of folk music for violin and folk music pedagogy at Malung's folk college coupled with Suzuki method teacher training in Sweden has given her a sense of joy in playing that she imparts to young students in Sweden and in Washington D.C.
for the best choreography by the Independent Reviewers Of New England in 2005. He has taught in the dance program of the Université du Québec à Montréal and is currently in the folk music program of Joliette College. He also produces shows for Dance Cadence, the company he started in 2000. Between greater Washington, DC, and Little Washington in the Blue Ridge Mountains of Virginia, when a musical occasion involves traditional fiddle music, you are likely to hear Joe DeZarn's fiddle in the mix. Joe's connection to traditional music can be traced to his grandfather, Bill DeZarn, a highly regarded fiddler in eastern Kentucky from the 1930s to the 1950s. Hearing Irish fiddler Kevin Burke in the late 1970s, Joe began devoting his attention to traditional Irish music. Today, with the benefit of terrific musical friendships, mentors, and teachers, including Brendan McGlinchey, Liz Carroll, Kevin Burke, Jean Marie Verret, Jesse Winch, Bob Childs, and Dave Langford, DeZarn is a busy fiddler. His playing of Irish, Quebecois, and American old time tunes can be heard on recordings that include the Childsplay catalog and Here's To You, by The Bog Wanderers Ceili Band, and live at ceilis, contra dances, sessions, and the odd feis, as well as at performances by Childsplay, a band in which Joe is proud to be a charter member. Seattle-based fiddler Ruthie Dornfeld is fluent in a wide range of styles, from Celtic and old-time to Scandinavian and Eastern European. She has performed and taught for 30 years at festivals, schools, music and dance camps throughout the U.S. and abroad, from the Manaus Operahouse in the Brazilian Amazon to the Sibelius Academy in Helsinki, Finland. Originally from Oregon, Ruthie spent 15 years in New England, where she played with the twin-fiddle stringband The Poodles, was a mainstay on the contradance circuit, and commuted to Europe to play with The American Cafe Orchestra. Since 1996 she's been back in the Pacific Northwest, where she teaches and performs with guitarist John Miller and with French cabaret band Rouge when not on the road with her many musical cohorts. Shannon Dunne's dancing has been seen in theaters, festivals, and workshops all over North America and Ireland, including the Kennedy Center, Comhaltas Ceoltori Eirann North American Convention, ICONS Festival (Boston), Saline Celic Festival (MI), the University of Milwaulkee Sean-nos Festival (WI), Choilin Sean Dharach Festival (Ireland), Brennan's (Nova Scotia), Greyfox Music Festival (NY), the Institute of Musical Traditions (MD), the Rams Head (MD) and the Mainstay (MD). She is a former principal dancer of Footworks Percussive Dance Ensemble, and continues to tour with The Wren Girls: American Women in Sean-nos Dance and Kitchen Quartet. She has appeared as guest artist with Solas, Flook, Karan Casey, Kevin Crawford, Killian Vallely, Tony DeMarco, Tim O'Brien, and Bruce Molsky. She has an extensive theater resume, including work with Award Winning Synetic Theater (Company, 2005-2007). 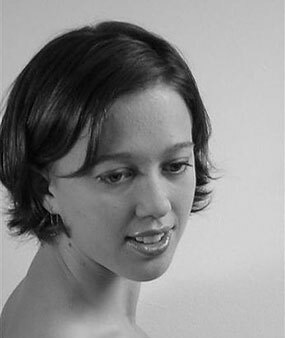 Ms. Dunne is the recipient of many awards and honors, including the 2008 Dance Fellowship and multiple Folk Arts Grants from the DC Commission on the Arts and Humanities. She is on the roster of the Mid Atlantic Arts Foundation, and was the recipient of a Performers Grant from the University of Milwaukee. She was a 2001 nominee for the WATCH Award for Best Actress in a Musical. 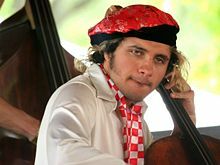 Rushad Eggleston is a quasi-mythical cello bandit from the spooky western forests of the USA. he is a brave explorer of the physical, mental, musical, and lingustical realms. so naturally, being a cellist, he had to seek new horizons and evolve a new style. he is becoming increasingly known (and feared) for his original approach to existence. Rushad views the cello as just one treat in his bakery. He also plays electric wild-western guitar, writes loads of mythical songs and poetry, creates new words, turns words into worlds, climbs mystical trees, represents the land of Snee, and is an elf. He tours extensively with neolithical folk-mine group Crooked Still. 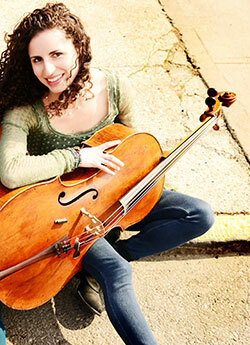 Ariel Friedman is a multi-genre cellist, composer, and educator. A winner of ASTA’s Alternative Styles Award, she is steeped both in the music of American roots traditions and a broad range of classical repertoire. Ariel tours the U.S. and abroad with her sister as Ari & Mia, highly acclaimed as New England’s Americana sister act, and has performed with many other folk-based groups including Scottish National Fiddle champion Hanneke Cassel, the Sail Away Ladies, and the BSO’s Classical Tangent. An advocate of new music and a composer herself, she is the founding cellist of Cardamom Quartet and performs with the Boston Modern Orchestra Project. Ariel graduated from Northwestern University in 2008 and received a Masters of Music from New England Conservatory in 2011. In high demand as an educator, Ariel teaches at Brookline Music School and has her own private studio. She has taught at music camps and workshops from New England to New Zealand. Nic Gareiss is a performer, teacher and researcher examining the cultural employment of the human body as a musical instrument. Lauded by the Irish Times as, "the human epitome of the unbearable lightness of being," and, "the most inventive and expressive step dancer on the scene," by the Boston Herald, his work re-imagines aesthetic movement as a musical activity, morphing dance into a medium that appeals to both the eyes and the ears. He has an enduring fascination with sonic aesthetic movement phenomena, their role in different societies and the remarkable concurrent existence of percussive foot articulation in so many disparate cultures - this has lead him to a study shoe-sounds and grooves internationally, tracing the roots of American vernacular dance abroad in a rhythmical adventure using the body as the ethnographic tool and improvisational dance traditions as the lingua franca. He has performed in Ireland, Scotland, France, Belgium, Italy, Germany, England, and Canada, on Irish national television and CMT, for Irish head of state Brian Cowen and American Energy Secretary Steven Chu. In addition, he holds degrees in Anthropology (Central Michigan Unviersity) and Ethnochoreology (University of Limerick). Informed by fifteen years of study and performance, Nic's dancing reflects his love of improvisation, traditional footwork vocabulary, and musical collaboration. "The human epitome of the unbearable lightness of being...Gareiss is more fleet of foot than an Olympian sprinter and more buoyant than a helium-filled balloon. 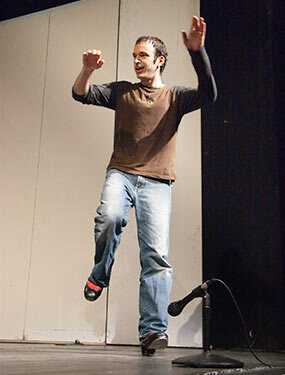 He elevates Irish dance to a place where restraint is palpable and freeform flight is inevitable." "Mesmerizing…a whirling dervish in tap shoes." "A show-stopper...this Michigan native may be the most inventive and expressive step dancer on the scene. The nimble Gareiss called forth visions of Fred Astaire." He is a total joy to watch – music embodied in physique, gesture, movement and muscle; an eye-opener for the ear, as it were, such is the precision, detail and adventure of his sense of rhythm." Kieran Jordan was born in Philadelphia and started Irish step dancing when she was just five years old. With a style described as "playfully theatrical" (The Boston Globe) and "wonderfully expressive" (The Living Tradition), she has been performing as a featured solo dancer for more than 20 years, collaborating with some of today's finest traditional Irish musicians. In 2001, she established a unique non-competitive Irish dance school for adults in the Boston area. Her classes and programs — called "a rare find" (Cambridge Chronicle) — won City Voter's "Best Irish Dance Class in Boston" and have become a mainstay in the city's arts and cultural scene. 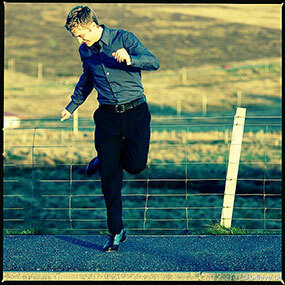 Kieran has produced three DVDs on sean-nós and "old style" Irish step dance traditions. Her workshops, recordings, and touring projects have played a major role in bringing the old style Irish dance forms to audiences throughout the US. Kieran teaches on the Irish Studies faculty at Boston College, and she has taught at the Willie Clancy Summer School, Catskills Irish Arts Week, Augusta Heritage Festival, Acadia Trad School, and more. She has directed and choreographed for stage productions including Atlantic Steps, Childsplay, the Revels, the WGBH Christmas Celtic Sojourn, and for her own company, Kieran Jordan Dance. Winner of a Massachusetts Cultural Council Artist Fellowship and Traditional Arts Apprenticeship, Kieran has a Master's Degree in Contemporary Dance from the University of Limerick, Ireland, and a B.A. from Boston College. She also holds the TCRG certification for teaching Irish Dance. squo;s interest in traditional dance music was piqued when she discovered that her great-grandfather, Erasmus Bacon, had played for square dances in upstate New York. She found his old fiddle in her grandmother's attic and was determined to learn to play. Developing a passion for music from Québec, acquiring a fiddle from Bob, and having the opportunity to play with members of Childsplay have been sources of great inspiration and joy. 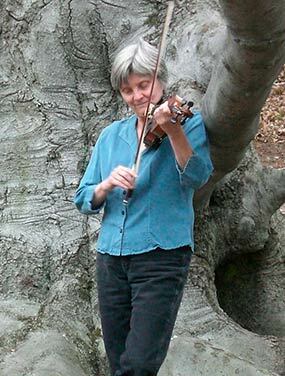 Debby has directed the large Boston-based contradance band, Roaring Jelly, for the past 10 years and regularly plays piano and fiddle for contradances in the Boston area and beyond. 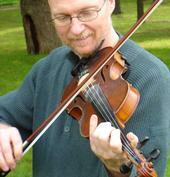 Dave Langford is an experienced and versatile fiddler, guitarist and fiddle teacher from the Boston area. A veteran of 20 years of playing for public dances, weddings, parties, and late night sessions, Dave combines multiple styles of fiddling with fierce energy and drive. He has been a staff member for music and dance weeks at Pinewoods, Buffalo Gap, Ogontz, Augusta, and Christmas Country Dance School at Berea, Kentucky, as well as for dozens of weekend events around the United States and beyond. In addition to performing with Childsplay, Dave plays regularly with The Latter Day Lizards and The Big Bandemonium. Mary Lea is known for her mastery of many musical styles. Classically trained and from a musical family, Mary has been playing dance music professionally on the violin and viola since 1977. While her focus has been on contra, square, and English country-dance music, she has also played extensively couple and quadrille music of the 19th and early 20th centuries, including polkas, waltzes, ragtime, tangos, and blues. She has been a member of the nationally-known bands Bare Necessities (English country) and Yankee Ingenuity (New England contra) since 1978, played with BLT from 1982 to 2001, and has recordings with each of these groups plus three of her own productions, Between Two Worlds, Gypsy Wine, and Cascade of Tears. 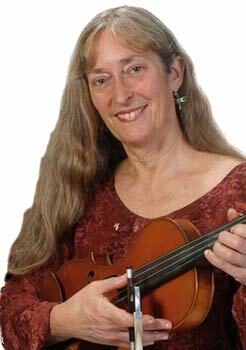 Laura Light has been fiddling for dances, festivals and celebrations for thirty years. A true American hybrid, she was born in the heartlands, spent the seventies in folk and bluegrass clubs in the San Francisco Bay area, homesteaded , played hoedowns and raised babies in southeastern Ohio, and currently hits the national contra dance circuit and old time festivals of the southeast. Through her work at the Augusta Heritage Arts of Elkins, W. VA. Laura learned from Dewey Balfa, Liz Caroll, Buddy MacMaster, Howard Armstrong, Johnny Gimbel and Richard Forest. 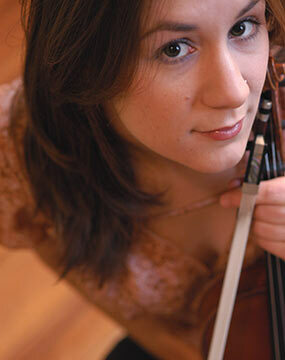 She also credits her dear friend, Freyda Epstein, a lifelong inspiration violin, vocal and artistic coach. Mollie O'Brien sings jazz, R&B, blues, gospel, southern mountain traditional — you name it. And she approaches each with an ease that makes you think she was steeped in the style since the first time a note left her throat. Growing up in Wheeling, West Virginia, one of five children, Mollie was exposed to music of every stripe, from performances by the Wheeling Symphony to concerts by Count Basie, Ray Charles, and the Beatles. She listened to singers — Joni Mitchell and Judy Collins, Bonnie Raitt and Dinah Washington, Streisand, Sinatra, and Betty Carter — and took voice lessons. Later, with her brother, Tim, she performed in church and at coffeehouses. All the while she dreamed of heading to New York to sing and act on Broadway and make a big splash in show business. After her sophomore year of college, she set out for the Big Apple, but the auditions were discouraging and gigs were few. She stuck it out for four years — long enough to discover the irresistible pull of swing music and the stylistic stretches required for jazz. Eventually she moved to Colorado, where brother Tim O'Brien had already staked out territory in the booming music scene. 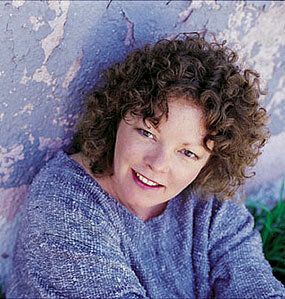 Mollie moved to Boulder in 1980, worked as a duo with Tim, and formed her own R&B band. Now, a couple of decades later, she's married with two teen-aged daughters and a firmly established singing career. She has been called one of roots music's best interpreters and singers, and her voice described as "smooth," "smoky," "powerful," and "bright and bold as sheet lightning." Mollie's recordings are a tribute to the variety of her taste and the versatility of her performance. On her solo CDs — Every Night in the Week and I Never Move Too Soon (on Resounding Records) and Tell It True, Big Red Sun, and Things I Gave Away (on Sugar Hill) — she moves without hesitation from style to style, dipping into the songs of Lennon and McCartney, Percy Mayfield, Memphis Minnie, Chuck Berry, and the Subdudes. There have been any number of collaborations, most notably the Grammy-winning True Life Blues: The Songs of Bill Monroe (Sugar Hill) with a stellar bunch of bluegrass greats. For the past few years, Mollie has worked with Garrison Keillor and Robin & Linda Williams as the Hopeful Gospel Quartet, with her own five-piece band, and as a duo with husband Rich Moore. Mollie has earned rave notices at major festivals and venues throughout the U.S. and in the United Kingdom, Europe, and South America. Acclaimed vocalist Aoife O'Donovan has been turning heads throughout the music scene for the past ten years. Called "Americana's newest darling" by USA Today, Aoife is a founding member of newgrass sensations Crooked Still, with whom she tours the world for most of the year. She is also a member of the folk-noir trio Sometymes Why. 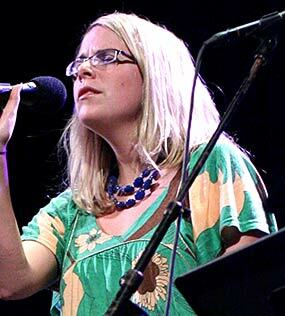 2007 saw Aoife on stages from the Shetland Islands to Yosemite National Park with stops across Europe, Canada, and the United States in between. Though she is just beginning to play shows featuring her own material, Aoife's quirky original songs have garnered praise worldwide. She plans to release her debut solo album in 2012. Originally from Newton, Massachusetts, Aoife makes her home in the musical hotbed of Brooklyn, NY. Matthew Olwell has been performing and teaching as a dancer and percussionist at festivals and theaters across North America and Europe since 1996. He began attending festivals and music events at an early age with the Olwell family flute business, and in 2005 recorded an album with his brother Aaron Olwell and their band Hell on the Nine Mile. He has studied with some of the finest teachers in percussive dance, including Donny Golden, Eileen Carson, The Fiddle Puppets, and Liam Harney. Matthew danced for nine years with the Maryland-based Footworks Percussive Dance Ensemble, with whom he performed in Riverdance. In 2006 he co-founded Good Foot Dance Company, and now teaches and performs often in community arts events in his native Charlottesville, VA. Matthew has performed with many excellent musicians, including Lunasa, Eileen Ivers, Tim O'Brien, Matapat, Corey Harris, Liz Carroll, and Bassekou Kouyate. He currently dances and plays percussion with James Leva and Purgatory Mountain. In 2007, Matthew appeared in a music video that mixed elements of clogging and kung fu by Rounder recording artists Uncle Earl. Over the past three decades, Mark Simos has steadily built a reputation in progressive traditional music circles as a songwriter, tunesmith, fiddler, composer, and arranger; an innovative, harmonically adventurous accompanist on guitar and piano; and an engaging and dedicated teacher. Widely known for his songs recorded by the likes of Alison Krauss and Union Station, the Del McCoury Band, Laurie Lewis and others, Mark's music combines a lifetime's love and exploration of varied traditions with a continuing willingness to stretch forms and take musical risks. Mick Moloney describes Mark as "... a musician's musician, versed in many musical idioms and excelling at all of them one of the few musicians I know equally at home in the often incompatible roles of traditionalist and innovator." Mark's original songs, tunes, and extended compositions draw strongly on long apprenticeship in varied traditional idioms-Celtic, Southern old time, bluegrass, and Quebecóis, among others. Coming of musical age in the eclectic California traditional music scene of the mid-1970s, Mark learned from a wide variety of both older and younger players, drawing ideas from styles ranging from Celtic, old-time, and bluegrass to Balkan and klezmer music. One of the most respected guitar accompanists for traditional Irish music in the United States, Mark has performed in concert and on record with many renowned players, most recently on albums with New York-based fiddler Brian Conway and Canadian fiddler April Verch, and in concert with Conway, Tommy Peoples, Liz Carroll, and other renowned players. 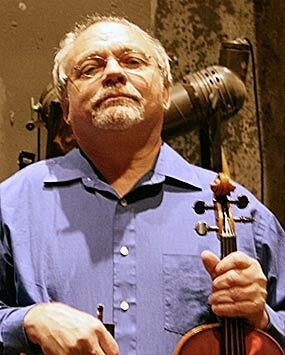 Mark's old-time fiddle style was inspired early on by the haunting field recordings of older Kentucky fiddlers such as Luther Strong. As a dance fiddler or in the vigorous interplay of live sessions, Mark is known for his "hell of a bow arm," subtle dynamics and ornamentation, improvisatory prowess, and penchant for making up tunes on the spot without telling anyone. A long-time member of Childsplay, Mark's "orchestral fiddle music" compositions and arrangements have become signature pieces for the band, featured on each of the band's four albums to date. 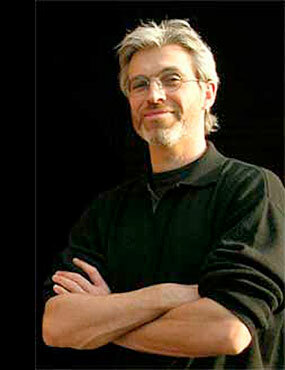 Mark received the ICC Commission for 2006, to create a new extended composition inspired by Irish music but relating to Celtic connections in North America. Mark is also focusing on collaboration with choreographers. Mark, with choreographers and dancers Kieran Jordan, Darrah Carr, Niall O'Leary, Ben Power and several Boston-area musicians, debuted a new ensemble called UnBeaten Path at the Boston Celtic Music Festival in Jan 2006, in a performance which featured new choreography to several of Mark's compositions. Marty Somberg grew up in Detroit and began his musical career as a rock guitar player. His youth was spent listening to everything from Classical music to Pop, Folk and Bluegrass. Marty landed in Los Angeles with the rock band Southbound Freeway in the late 1960s, but migrated north to Berkeley in the early 1970s where an intense musical renaissance was in full swing. It was here, as a fledgling fiddle player, he was exposed to an eclectic group of musicians who exposed him to the joys of various forms of folk and ethnic music. Graniog Ceili Band, and Knock-na-Shee, which he travel East with in 1979. He also studied drawing and painting during this time at Laney Community College in Oakland. While Marty developed a driving, lyrical style that he applied to a variety of genres, he found a special interest in Irish music. Knock-na-Shee, which included Marty, Mark Simos, and Jo Allen, toured East in 1979 and recorded the album Last Night's fun on the Shanachie label. After the break up of Knock-na-Shee, Marty was a member of the well-known Washington D.C. band Celtic Thunder and also played for Contra dances in the D.C. area with accordion player Laurie Andres. Marty moved back to his native Michigan in the early 1980s. After being a college sophomore for more than 10 years, he finished his art degree and began a career as a graphic designer. While living in the Ann Arbor, he has performed with the Irish band Finvarra's Wren and played for innumerable Contra dances. He currently has rediscovered Bluegrass and performs and records with the band Lonesome County. He owns and operates Somberg Design, a graphic design studio and is also working on a Master's Degree in Art. 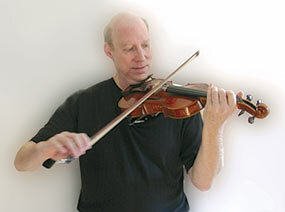 fiddle tunes, Pete has performed at the Philadelphia folk festival, Wolftrap, The South St. Seaport, The Moab Music Festival, Mariposa (Canada), The Kaustinen Festival (Finland), The Frankfurt Alte Oper (Germany), and many other concerts, dances, and festivals across North America and Europe. Pete has produced over 70 recordings of traditional and contemporary acoustic music for such clients as Wild Asparagus, Steve Gillette and Cindy Mangsen, and Dana Robinson. His vocal and instrumental compositions have been performed and/or recorded by over 100 artists, including Jay Ungar and Molly Mason, Sally Rogers and Claudia Schmidt, and Cathy Fink and Marcy Marxer. He has also collaborated on original music for theatrical use for a diverse group of artists/clients ranging from Circus Smirkus to Storyworks Films to The Dayton Philharmonic Orchestra. As a workshop leader, Pete has taught traditional folk instrumental styles, contra and square dancing, folksinging, and songwriting at festivals and camps, school residencies, and numerous multi- generational settings. Sarah Thomae has been playing the violin since she was four. As a young music, she played with many classical orchestras and ensembles in the Boston area, including the New England Conservatory Youth Preparatory Orchestra, before falling in love with Irish music at the age of 13. Studying with Laurel Martin, Sarah was introduced to the traditional music of Counties Clare, Galway, and Sligo. During the summers at Boston College's Gaelic Roots festival, she had the opportunity to study with notable Irish musicians, including Charlie & Ben Lennon, Liz Carrol, Kevin Burke, and Paddy Glackin. Sarah still enjoys studying the music of the different Irish regions as well as playing for small venues, dances, and sessions. She has appeared as a guest recording artist on Forget Me Not: Fifty Memorable Traditional Irish Tunes. 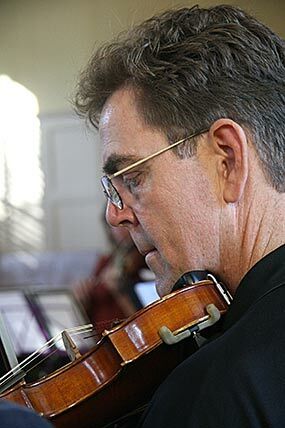 Steven Trampe obtained his violin in 1988, and since then has played dances, concerts and school programs from Boston to Seattle. Particularly fascinated by the music of Quebec and from several Scandinavian countries, he also plays contradance melodies and old time American fiddle tunes, and considers his association with Childsplay an honor and a privilege. Roger Treat was first inspired by the fiddlers he heard as a child while summering in Cape Breton, Nova Scotia. Though a Vermont native, his focus still remains rooted in the traditional dance music of Cape Breton. He is largely influenced by the styles of Buddy MacMaster, Jerry Holland, and others he grew up listening to. Roger is known for his driving style, and is heard throughout the New England area mainly playing Contra dances and ceilidhs. He has been a member of Childsplay since 1993. Roger's love for the fiddle also led him to pursue the art of bowmaking. He studied bowmaking at the University of New Hampshire as well as Oberlin Conservatory of Music. In Winter 2000/2001 Fiddler Magazine featured Roger's bowmaking; now, after a decade of experience, he is well respected in the field. Currently, seven members of Childsplay enjoy playing a Treat bow. Karan Casey has long been one of the most innovative, provocative and imitated voices in Irish traditional and folk music. Her career has spanned twenty five years from the early days as a jazz performer in George’s Bistro in Dublin to her heady days in New York with the band Solas to her now established solo career and she has sold over half a million albums. Karan released her first album with the group Solas, which quickly became the most celebrated Irish band in the U.S., and her four years with the group were pivotal. Since embarking on her solo career Karan has released 6 solo albums, a duo album (with John Doyle), an album for children and numerous contributions to other artists' projects – appearing on more than 50 albums in total. She has toured constantly throughout North America, Europe and Japan, performing solo, with her own band and with many other diverse artists. Recent years have seen Karan appearing with Folk legends James Taylor, Liam Clancy, Peggy Seeger, Mick Moloney and The Dubliners and Imelda May as well as performances with Solas, Lunasa, Tim O’Brien and Capercaillie’s Karen Matheson and collaborations with pianist/composer Mícheál Ó Súilleabháin and with Breton guitarist Gilles le Bigot’s "Voix de la Terre". Other ventures have included The Vallely Brothers Big Band and Niall Vallely's “Turas na dTaoiseach/Flight of the Earls” event, which was premiered in Belfast's Grand Opera House and later performed in Louvain, Belgium. She was also involved in Tommy Hayes’s “Apples in Winter” multimedia project. She presented a program on Irish National Television exploring the songs associated with the Irish Labour Movement. Kevin Doyle is the recipient of a National Heritage Fellowship in Irish Dance from the National Endowment for the Arts, the highest honor bestowed on a traditional artist in the US. Born and raised in Providence, R.I., Doyle learned his first jigs and reels at the early age of eight from his Roscommon born mother. With more than 55 years of dance under his feet, the tradition has taken him from a White House performance to the prestigious Willie Clancy Summer School in County Clare, Ireland. He was a featured presenter and teacher at the school in 2015. Kevin has been performing with the Celtic band Pendragon for 20 years and folk-duo Atwater-Donnelly for several years.